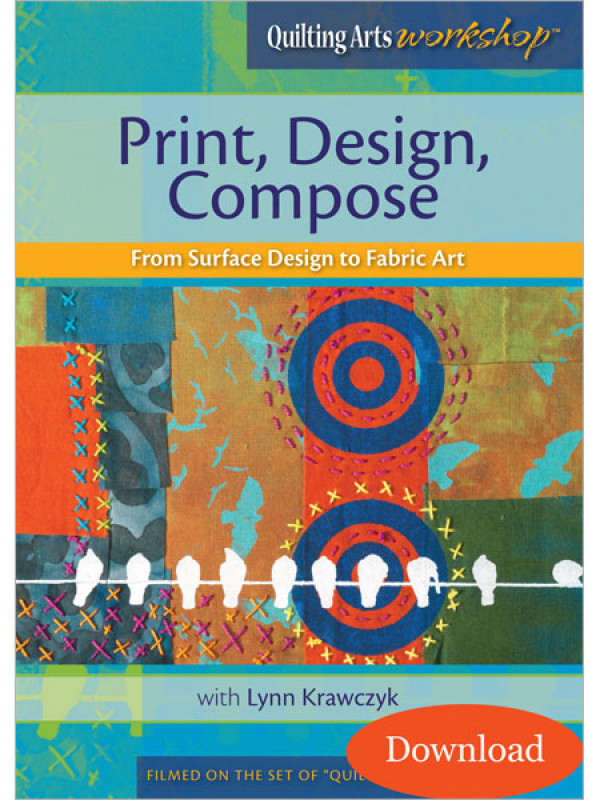 My friend Lynn Krawczyk of Smudged Design Studio has a great new book out. 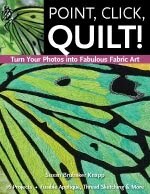 I got it more than a month ago, and have been reading and absorbing it since then. 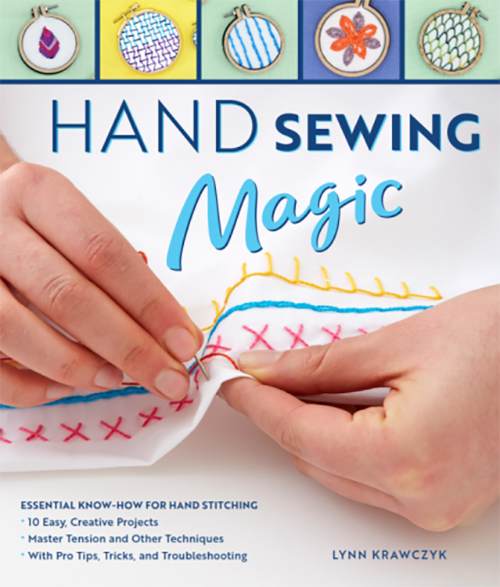 It’s called “Hand Sewing Magic,” (Quarto Publishing, 144 pages, $24.99) and it includes instructions – and fabulously detailed directions and photos– for 35 stitches and many variations. 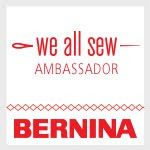 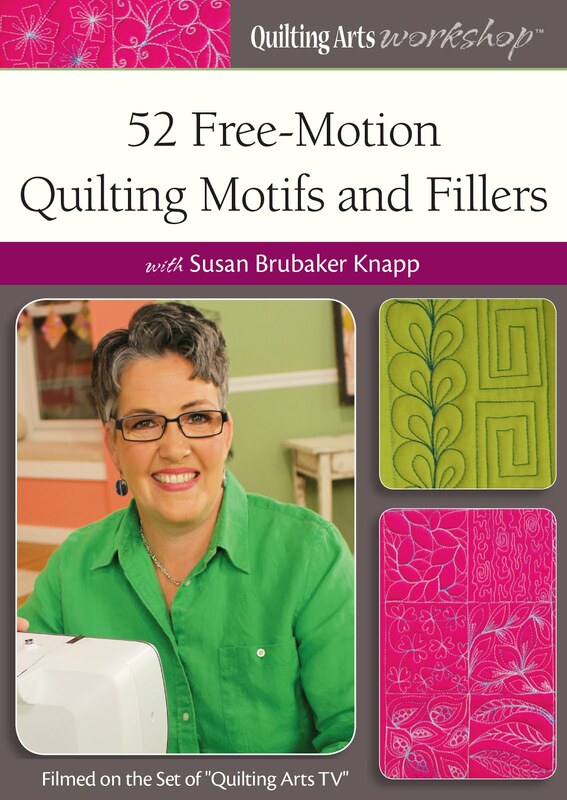 There are also tips from nine “pro stitchers” (I’m one of them!) 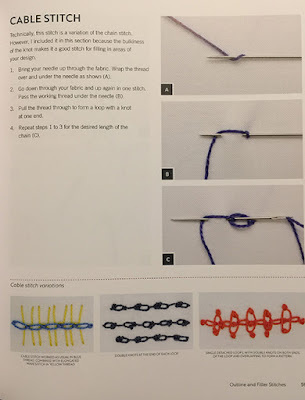 and small projects to make to practice the stitches. 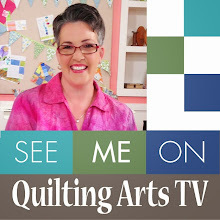 Lynn on the set of “Quilting Arts TV” a few years ago. 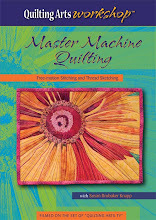 The book starts off with key information about materials and tools (needles, threads, fabric, etc.) and techniques (how to use an embroidery hoop, tips and tricks for working with thread). 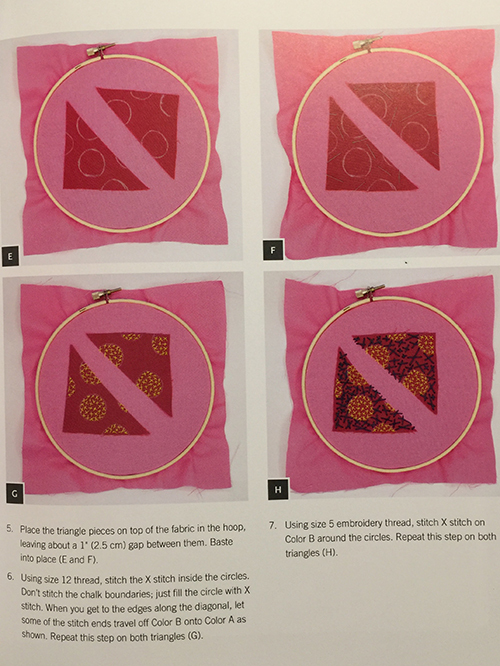 I learned how wrapping the inner hoop with bias tape can help decrease fabric distortion; I never knew this! I also love Lynn's cute trick of storing threads and flosses on wooden clothespins for storage. 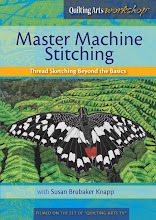 This book would make a great gift for a young person or a new stitcher who needs a book that offers basic information with a healthy dose of inspiration. 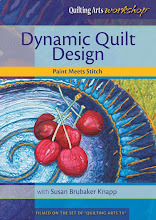 It’s also a terrific resource for people like me, who need a reference book every now and then, or need ideas for different ways to use a stitch they already know. Here’s an example of one of the stitch pages. 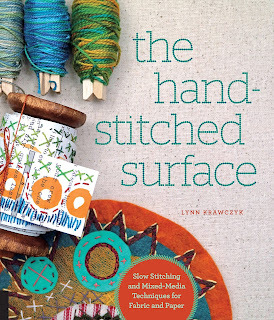 Lynn carefully describes the stitch in words, and also includes step-by-step instructional photos. 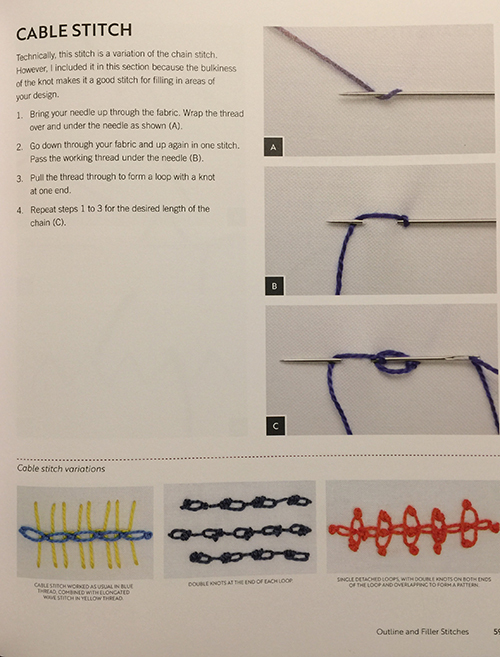 At the bottom, she shows some different ways to use the stitches. 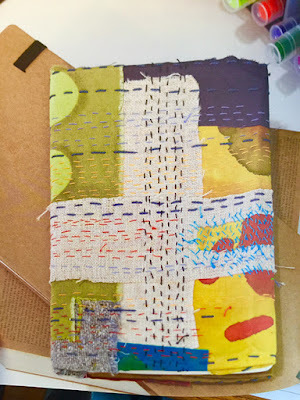 Lynn also includes some fun projects, like this Boro Sketchbook Cover, to show how you can use basic embroidery stitches to make items you’ll use and love. 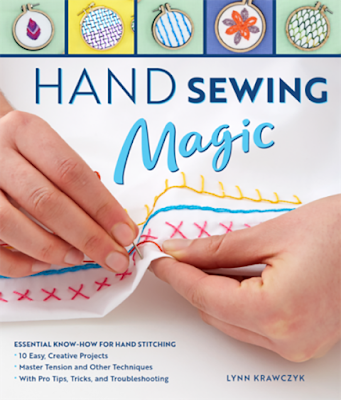 You can order a copy of “Hand Sewing Magic” on Amazon here. 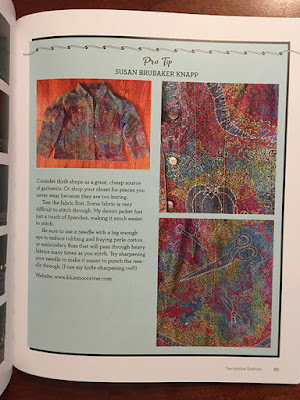 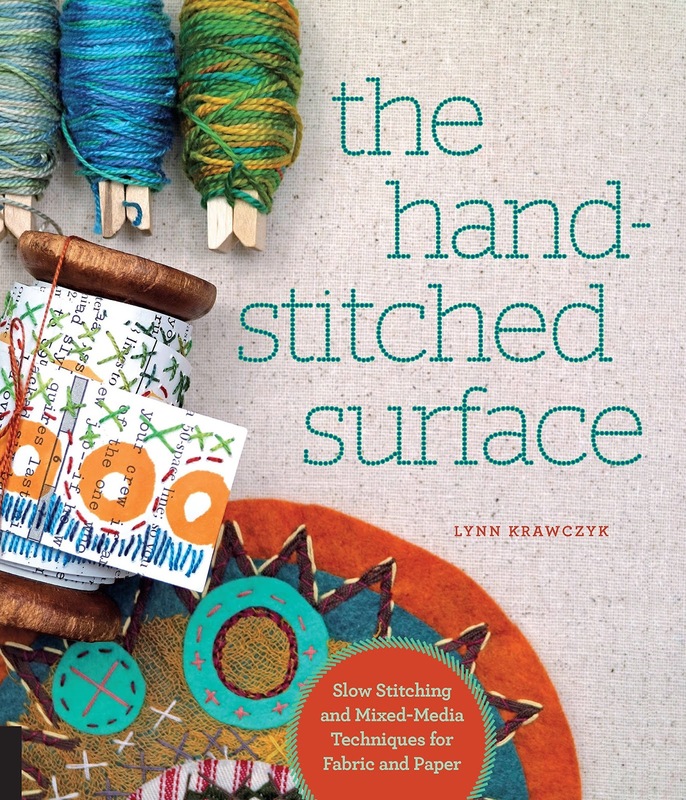 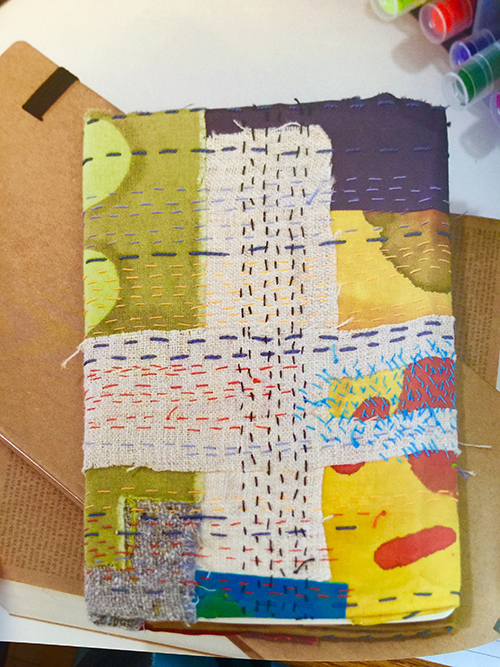 Lynn is also the author of The Hand-Stitched Surface: Slow Stitching and Mixed-Media Techniques for Fabric and Paper (2017) and Intentional Printing: Simple Techniques for Inspired Fabric Art (2014). 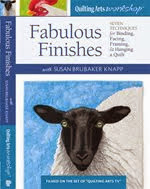 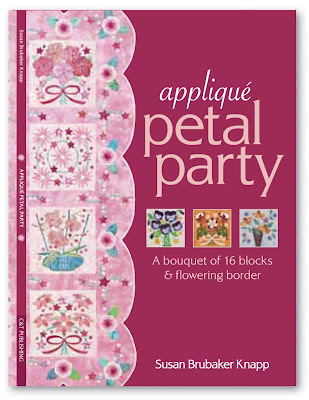 She also has a Quilting Arts Workshop, “Print, Design, Compose: From Surface Design to Fabric Art,” DVD. 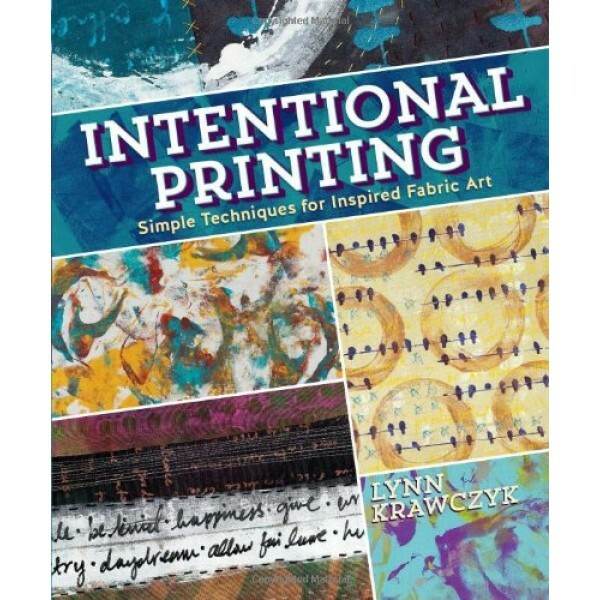 All are available on Amazon.com. 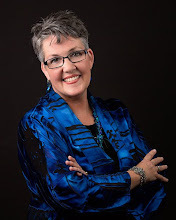 Thanks for sharing the update on Lynn. 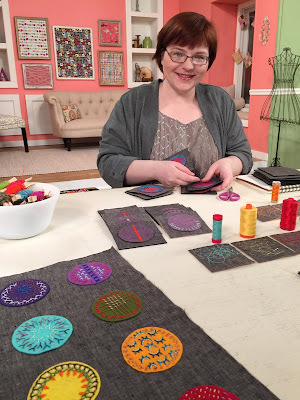 I love her work and her teaching style is incredible. 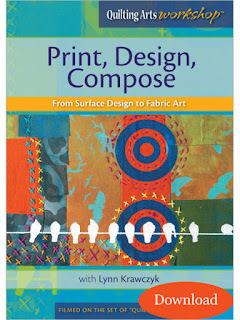 Now off to order this latest book.